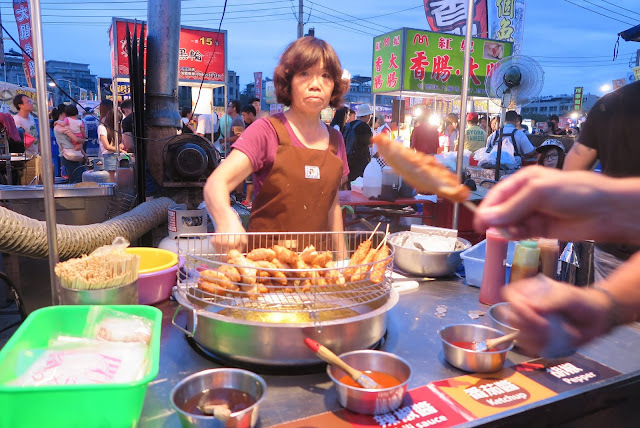 “There is so much to eat here,” proclaimed the cab driver as he transported us away from the night market in Tainan – Taiwan’s ancient capital. This particular night market is a multi-acre maze of pop-up booths offering fried food, sugar-coated fruit and gelatinous oyster omelets. The night market here is less a street market with open shops and stalls, as in Taipei, and more like an itinerant food carnival with temporary booths set up for the evening. On the night we were there the food corridors were full of young people perusing the wares of fried body parts and roasted corn, interspersed with ad hoc seating at kiddie tables and chairs for on-the-go meals. Other corridors of cheap clothing, carnival games and walls of kewpie dolls were mostly empty. 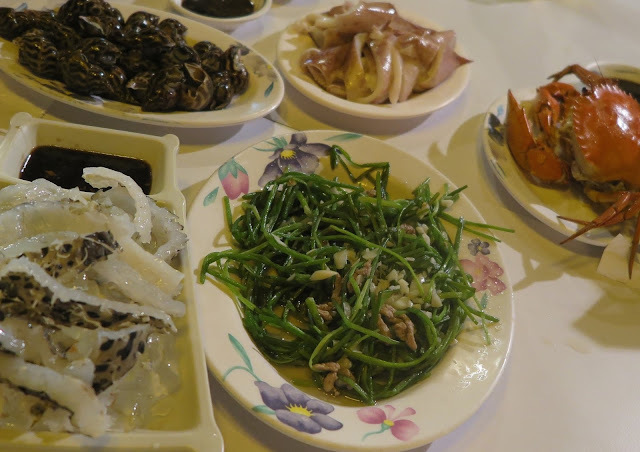 Eating out is a favorite activity of the Taiwanese. My palette for odd-looking sea creatures and organ meats (that is – pork; pigs don’t stand a chance here), is limited. 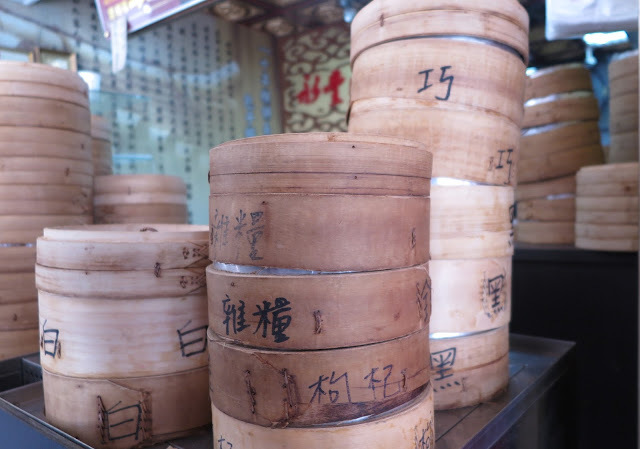 The best dishes that I have experienced include a wonderful steaming bowl of vegetarian noodles, steamed dumplings, and veggie baozi at neighborhood spots in Da’an, our district in Taipei. 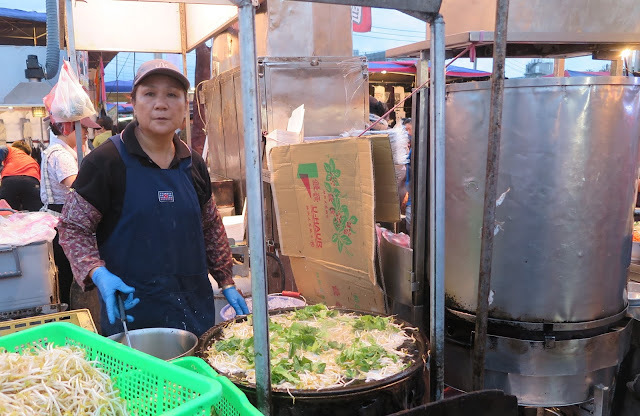 Even though Tainan is reported to have excellent food, we must not have found the best eateries — our Malaysian friends, traveling with us, proclaimed our meals in Tainan to be “gooey”. Making oyster omelets in Tainan. Fried rice dough with egg inside. 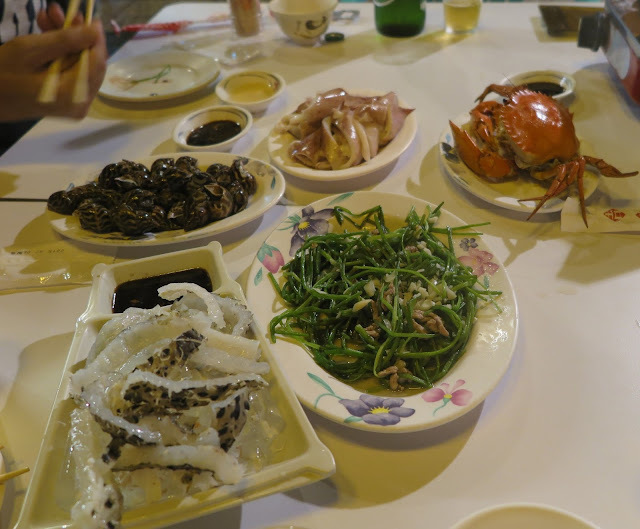 Snail, crab and slimy fish in Tianan. 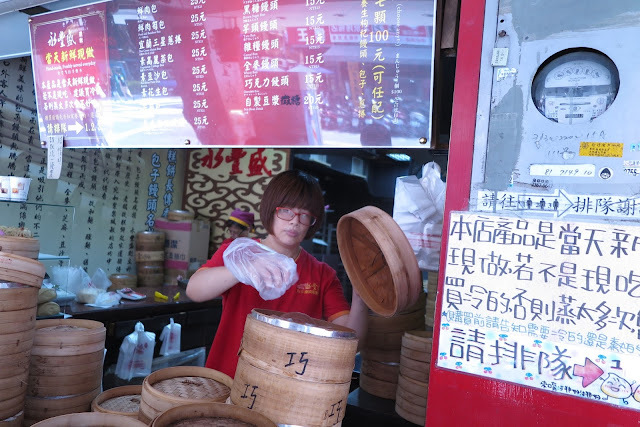 Serving baozi (dumplings) in Taipei. Baozi (dumplings) range from veggie to pork to chocolate. 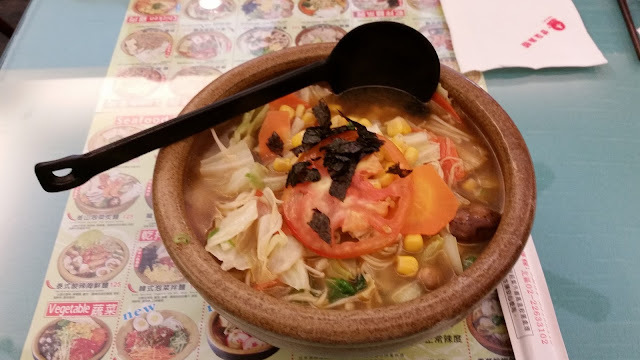 Best veggie noodles in Taipei. Sugar coated fruit at the Tainan Night Market. 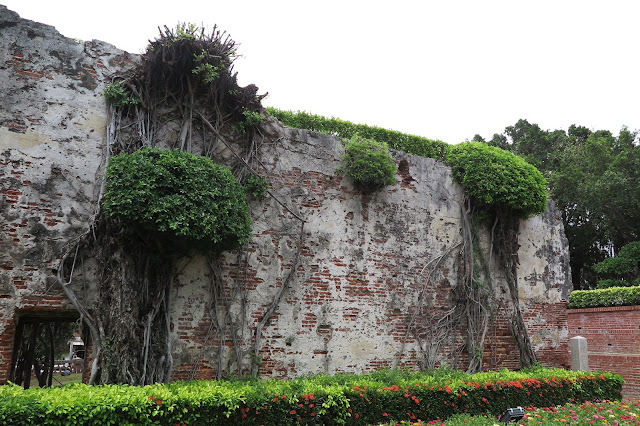 We returned to Taipei after three days of visiting Mazu temples and the remnants of 350 year old Dutch forts in Tainan — Taiwan’s ancient capital. 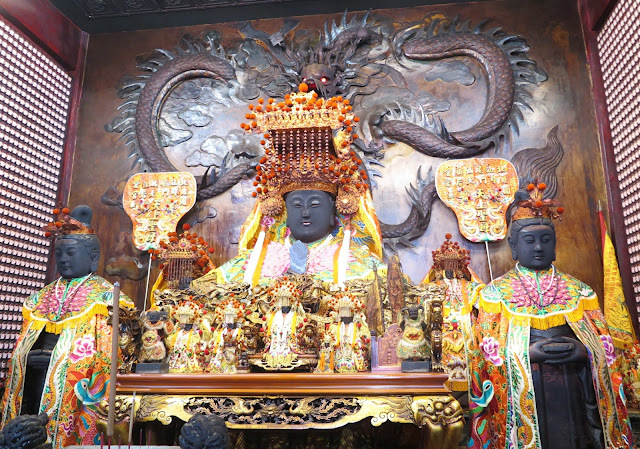 Mazu is the Goddess of the Sea alleged to be an actual person born in Meizhou on the Fujian coast in the 900s. People began to worship her after she miraculously saved her father and brothers from drowning in storms at sea. 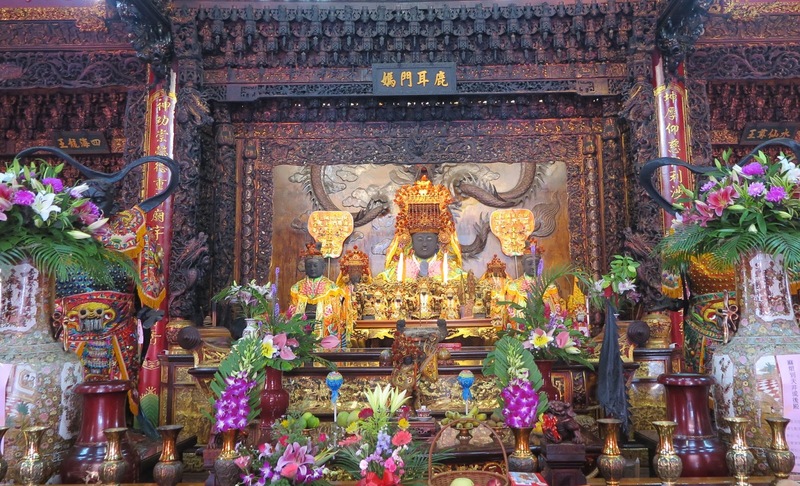 The Chinese sailor/admiral (and Ming loyalist) Koxinga who defeated the Dutch in 1662 (the Dutch having ruled here for 38 years as the first foreign rulers of Taiwan) brought the worship of Mazu to Taiwan. Koxinga’s original Mazu statue now resides in a huge Mazutemple in the Tainanese suburb of Luermen. 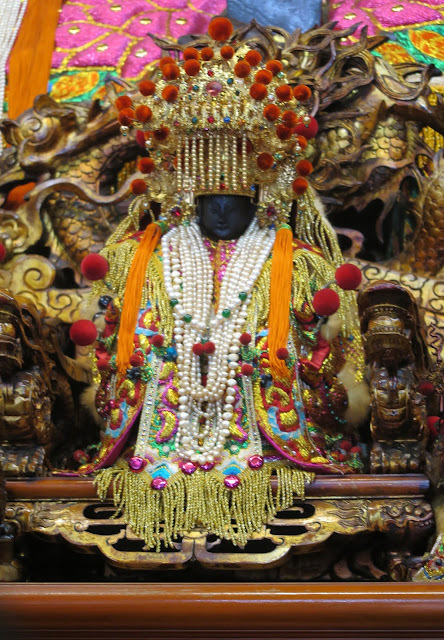 The worship of Mazu has spread throughout Southeast Asia. 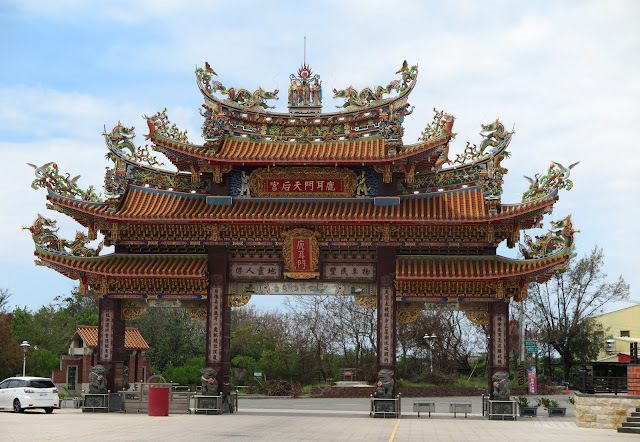 We visited several Mazu temples in Vietnam last year, and Mazu can be found from the of north China to the southern tip of Asia. Mazu statue at Luerman temple. The original Mazu statue carried by Koxinga from mainland China to Taiwan in the 1600s. 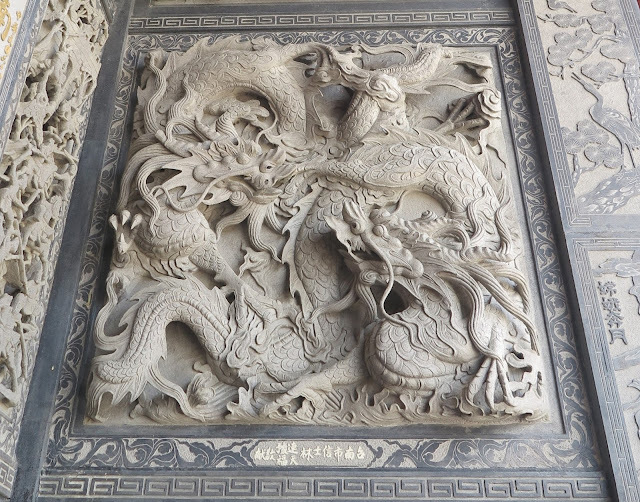 Dragons at the entry to a temple symbolize good luck. 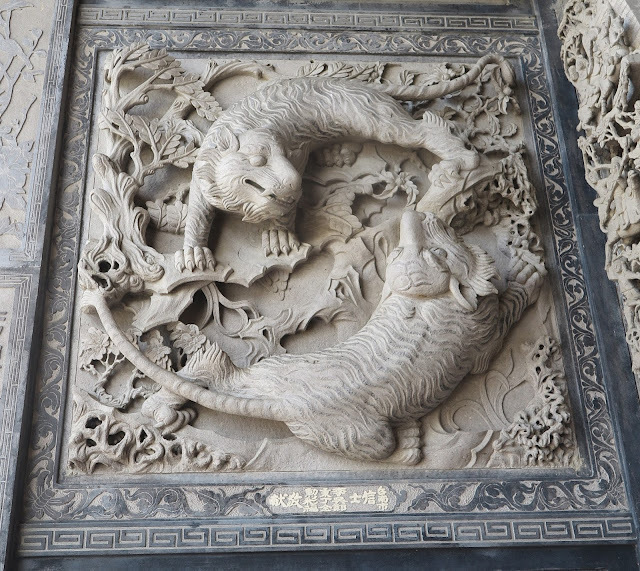 Tigers at the exit of the temple symbolize protection from evil spirits. 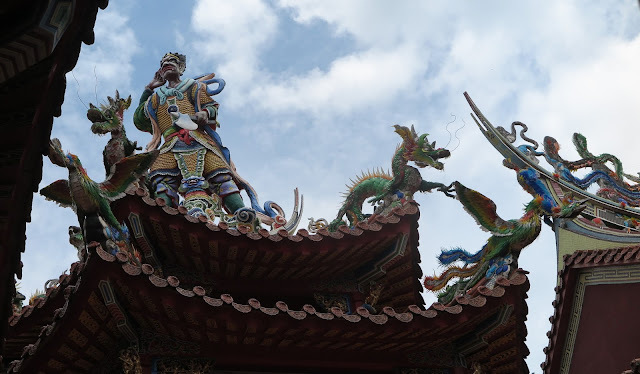 Roof detail, Mazu Temple, Luerman. 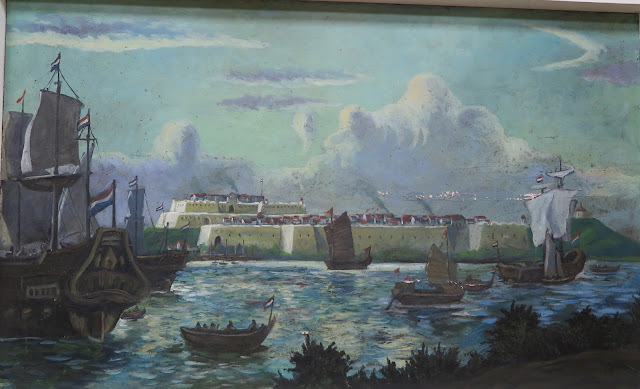 Painting of the Dutch Fort Zeelandia. 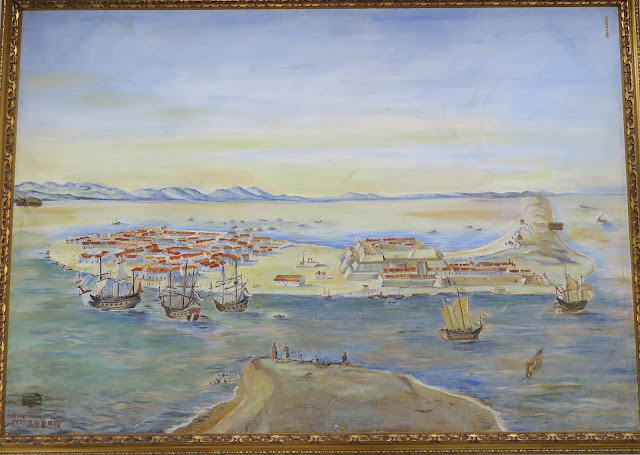 Painting of Dutch Fort Zeelandia captured by Koxinga in 1662. The remains of the Dutch Fort Zeelandia today.